Have you been hearing all about Vitamine C serum lately? Well, there’s a reason why! Here are some Vitamin C serum benefits and why you should add it to your beauty routine. When I think of Vitamin C, I think of oranges, orange juice, all of the orange things. But did you know that Vitamin C actually has several benefits for your face? 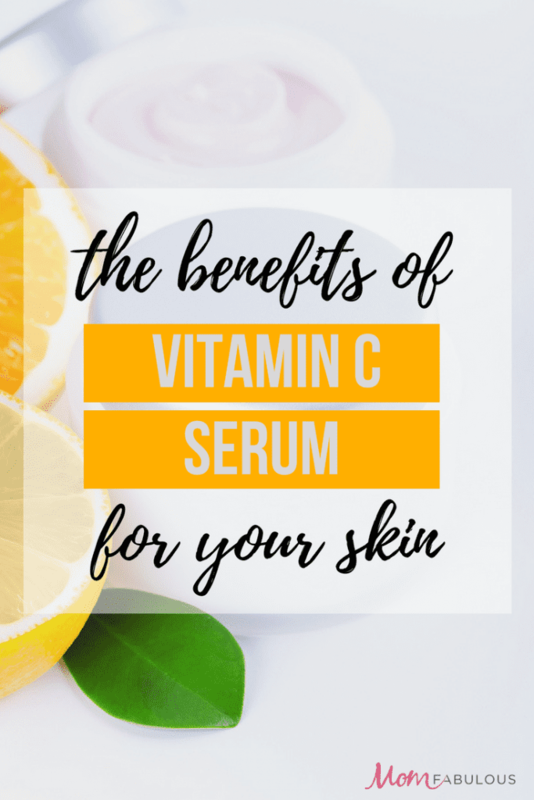 From reducing fine lines to protecting the skin from pollutants in the air, there are several benefits of Vitamin C for your skin as well as your body. While getting Vitamin C from food is good for the body, virtually none of it reaches the skin. But never fear! Vitamin C serums can be applied topically to the face to ensure that your skin us getting the Vitamin C it needs. Here are a few reasons to add said serum to your daily beauty routine. As I already mentioned, Vitamin C is excellent for getting rid of fine lines and wrinkles. Vitamin C produces collagen, which is a substance (a protein, actually) found naturally in the skin that helps keep it plump and supple. Vitamin C is a natural producer of collagen, making it healthier for the skin than a superficial producer. A commonly known benefit of Vitamin C is that it brightens up the skin. This gives the skin a more even tone. This benefit is especially important for those who have dark marks or scars, as it evens out skin tone by reducing the appearance of scars, marks, or hyperpigmentation. This vitamin also can smooth out the texture of skin and make it appear younger and firmer. Just when you think this serum stuff can’t get any better, it does. On top of all of its benefits, Vitamin C also protects your skin from sun damage and pollutants in the environment! This is because of the vitamin’s extremely high antioxidant levels. Pair serum with daily sunscreen use and your face is sure to be protected from everything the earth’s trying to throw at it. In addition to reducing the appearance of scars, Vitamin C serum can heal small wounds on the face. While a lot of facial products have the tendency to irritate small wounds on the face, Vitamin C actually does the opposite. This is because Vitamin C can speed up the healing processes in the body, making it perfect for small cuts, scratches or scars on the face or other small parts of the body. Sometimes, no matter how many moisturizers you’ve tried, there just isn’t one strong enough to get past the dry and flaky skin. If this is an issue you have, I highly recommend trying a Vitamin C serum. The vitamins in the serum are so highly concentrated that they can get to the dry skin and heal it without damaging it or making the dryness even worse. I have just started vitamin C within the last three months and you are absolutely correct about the hydrating effect. I have terribly dry skin, and have started using the serum morning and evening along with my moisturizer, and I have noticed some changes. I am now on the hunt for the perfect serum, so I have been using a couple different ones to see if there is a difference. Hope you find the perfect one! Hydration has always been one of my biggest skin care needs. I LOVE vitamin C serums but recently ran out so need to get another! I absolutely swear by serums, but I have yet to try a Vitamin C one. Now I definitely will! All the benefits sound incredible! I think you’ll love the results Annie! Okay i didnt know that Vitamin C could do all of this! I need to get on trying this!